Vinyl siding is a low cost, low maintenance siding solution. Resulting from frustration with wood and metal sidings vinyl was developed in the 1960s. Throughout Colorado, vinyl siding is an inexpensive choice to cover your home, garage, or other outbuildings. At Scottish Home Improvements we install a fair amount of vinyl siding, but generally, recommend that your home be worth less than $250,000 when considering this option. The resale value of more expensive homes can be impacted by vinyl siding. Vinyl generally costs less than aluminum siding and is a good choice for those on a budget. Fading can occur due to the harsh Colorado sun. Cracks can also occur due to freezing temperatures, requiring your vinyl siding to be repaired. One of our favorite vinyl siding manufacturers is Alside®. We recommend this premium vinyl siding solution due to beautiful curb appeal options as well as energy efficiency solutions that can help homeowners save. Alside® vinyl siding is available in numerous aesthetics that mimic the look of authentic wood grain as well as smooth, modern textures. Both horizontal and vertical siding options are available, providing versatility for homeowners throughout Englewood and Glendale. Colorado Siding is honored to partner with all the leading vinyl siding manufacturers so that homeowners can find exactly what they’re looking for. With incredible design options alongside energy efficiency solutions, vinyl siding provides a cost-effective way to update the siding on your property. CertainTeed: CertainTeed vinyl siding provides another premium option for homeowners throughout Virginia Vale and West Colfax. With different options for thickness and a bold color palette, CertainTeed also offers vertical, shingle, shake, and insulated vinyl siding choices. 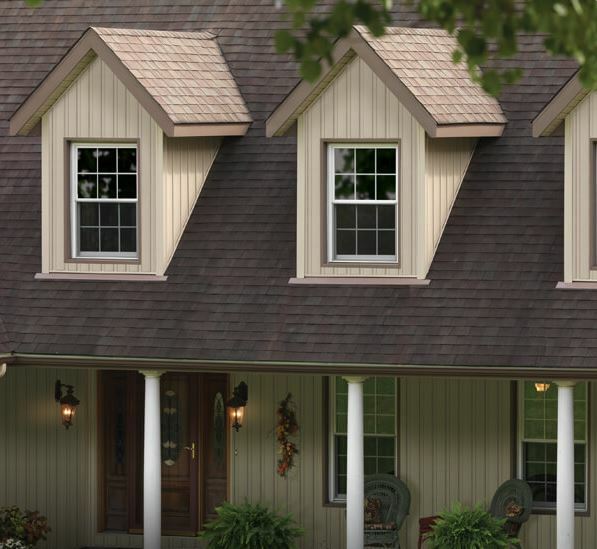 Royal Building Products: Royal Building Products provides beautiful cedar shake and shingle options made from vinyl. 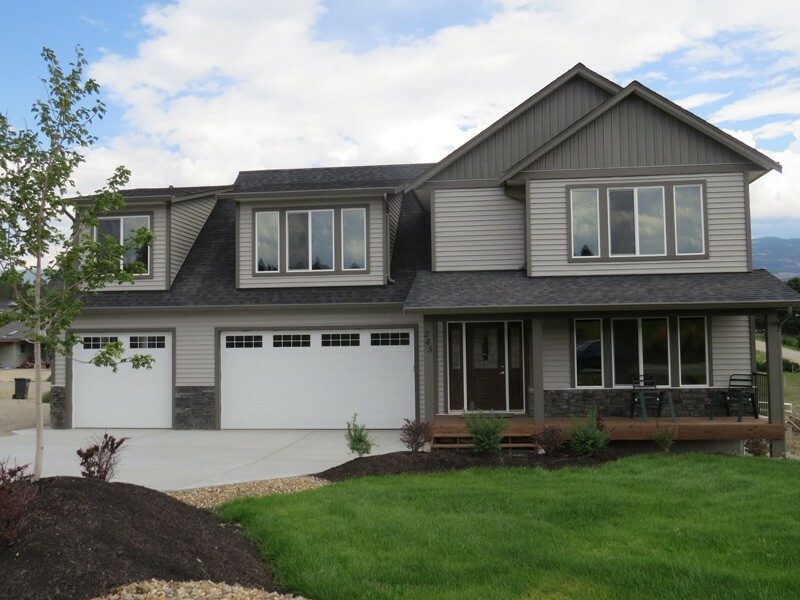 Available in different thicknesses as well as horizontal and vertical profiles, their vinyl siding can complement homes throughout Centennial and Parker. Georgia-Pacific®: With 24 vibrant color choices and variety of different profiles, Aurora homeowners can find the perfect vinyl siding aesthetic to transform their curb appeal. Faux cedar siding options are also available for homeowners looking for the aesthetic of wood without the cost or maintenance. Ply Gem®: Ply Gem® offers four different vinyl siding brands with different price points as well as aesthetics, colors, and styles in order to really cater to all of their clients. Homeowners in Castle Pines and Highlands Ranch can all take advantage of the numerous designs available. Norandex: With rich wood grain hues, Norandex vinyl siding offers comprehensive solutions that range from shakes to shingles and rounds. Achieve a more authentic look in Greenwood Village and DTC homes. 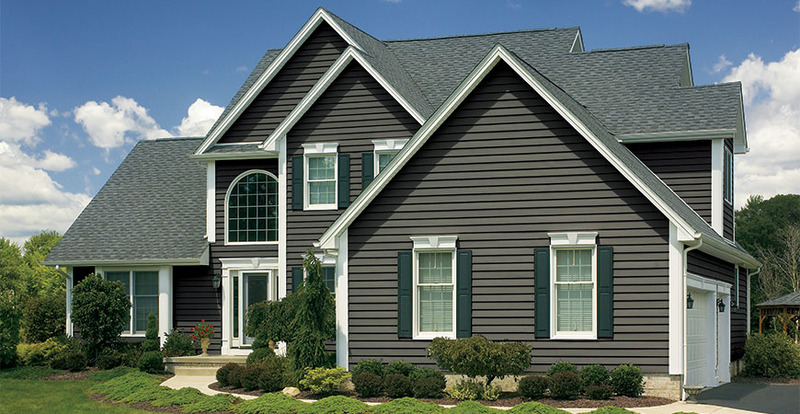 Kaycan: Kaycan offers beautiful horizontal, vertical, shake, and shingle vinyl siding options. With another wide range of color options and profiles, Denver homeowners can really pick the perfect aesthetic at an affordable price. Since commercial properties tend to be valued over $250,000, we don’t recommend vinyl siding for these types of properties. With moderate durability that is impacted by freezing temperatures as well as UV exposure, vinyl siding isn’t a good option for Denver commercial properties. Colorado Siding has decades of experience in residential vinyl siding. We specialize in this siding material and work with all the best vinyl siding manufacturers in order to provide a wide scope of options that make your house beautiful and protected. With great insulated options, energy efficiency can also be achieved. Contact us today to schedule your free in-home consultation!